Finding a skilled and professional WordPress developer can truly be a long, grueling, and daunting task. There are literally hundreds of sites out there with millions of members, all fighting for projects and undercutting each other’s prices. The problem is that a lot of these gladiators are nowhere near ready for the arena. Many sites don’t actually take the time to vet their providers, instead opting to let natural selection (ratings and reviews) cull the weakest members through time. This translates to a bad user experience for many customers who become frustrated and quickly lose faith in the development process. It can also be quite costly, as some have to try multiple developers before finding one they are confident they can work with. Thankfully, there are several platforms out there that do take measures to make the hiring experience better for their users and actually attract professional talent to their sites. In this article, we’ll look at eight great sources and finish with some tips on how to find and hire the best WordPress developers. 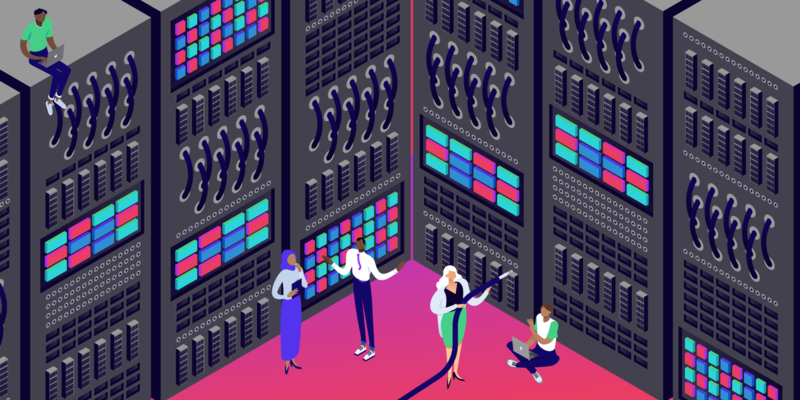 Here at Kinsta we focus 24×7 on providing high-performance managed WordPress hosting services. And while we have highly skilled developers on our team, we don’t provide custom development services. The list below are trusted sources that we have personally compiled to help save you time, money, and frustration from dealing with sub-par WordPress developers. In fact, we refer clients to these sources as well. 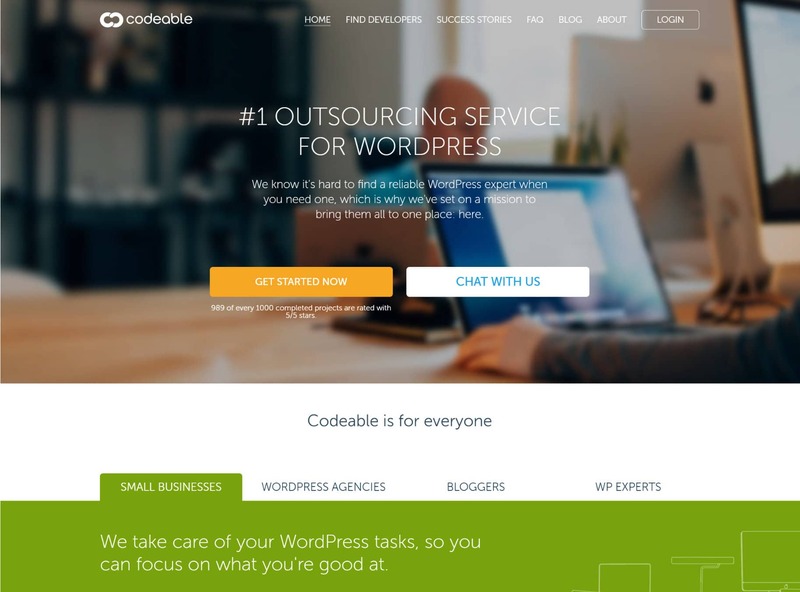 Codeable is dedicated to providing WordPress outsourcing services and focuses entirely on matching talented developers with clients. It also offers a range of options for handling the payment side of projects. We had the pleasure of interviewing Per Esbensen, the CEO of Codeable, and it’s refreshing to see their dedication to building a community of WordPress developers. Developers are pre-screened before being allowed to join the service with Codeable staff personally reviewing portfolios and CVs. They have over 25,000 clients and only 300 WordPress experts. Only 2% of applicants are accepted. That should tell you right there just how selective they are when it comes to the developers they allow on their platform. They only want the best of the best, which in turn can save you a lot of time and frustration as a customer. We’ve worked out a special discount just for Kinsta clients. Get a credit of $60 toward your first Codeable project or a free 1-hour consultation if you decide to hire. Grab credit! 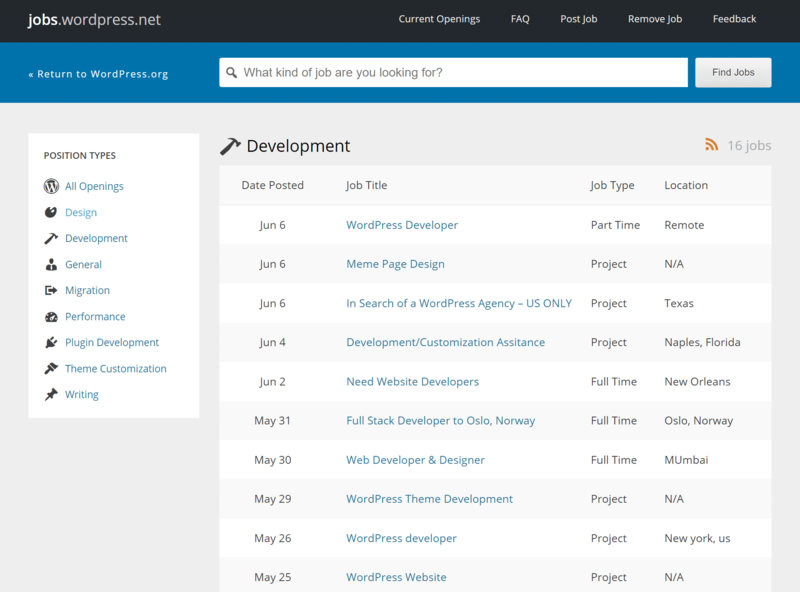 WordPress Jobs is the official WordPress jobs listing page (though somewhat confusingly hosted at the WordPress.net domain). They review every post before accepting it and listings remain active for 21 days. Only WordPress-related jobs make it onto the board. Jobs include various categories such as development, design, performance, plugin development, theme customization, migrations, and more. While the occasional low-effort job posting does slide through on the WordPress job board, you’ll usually only see serious projects and full-time positions offered here, two factors which naturally attract a higher quality of applicant. All in all, it’s a great place to begin searching for your developer. 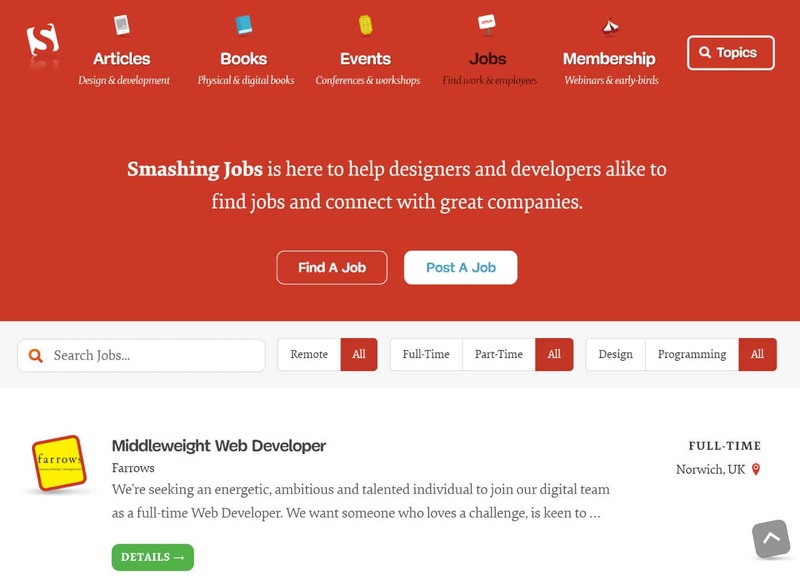 Renowned as one of the most popular and high-quality web development publications on the internet, Smashing Magazine also runs Smashing Jobs. Listings here are paid – $225 for listing full-time positions and $75 for freelance gigs – which helps keep overall quality high. The jobs remain active for 60 days, and if you are a non-profit they also have discounts. Their main site gets over 4 million monthly users, so you can ensure there will be a large audience seeing the job board. Smashing Jobs also has a reputation for being used by several big-name companies such as Amazon, Electronic Arts, Tesla Motors, MIT, Activision, etc. and has a solid track record in attracting top development talent. The WPMU DEV Pros jobs board keeps quality high by requiring that developers pay a monthly fee ($49/month) in order to be listed. This simple barrier to entry tends to naturally weed out non-serious applicants. 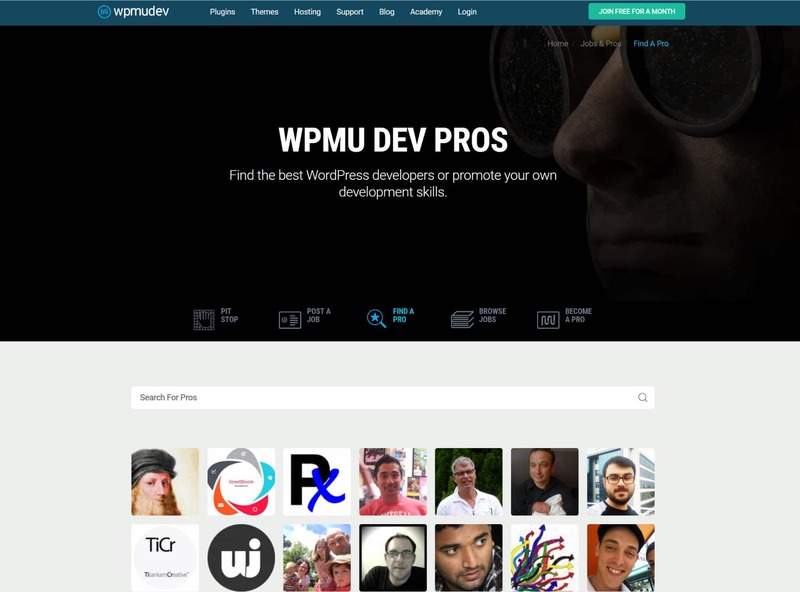 Each developer has a private profile where you can check out their list of skills, reviews of past work, and reputation points (earned for being helpful around the WPMU DEV community generally). 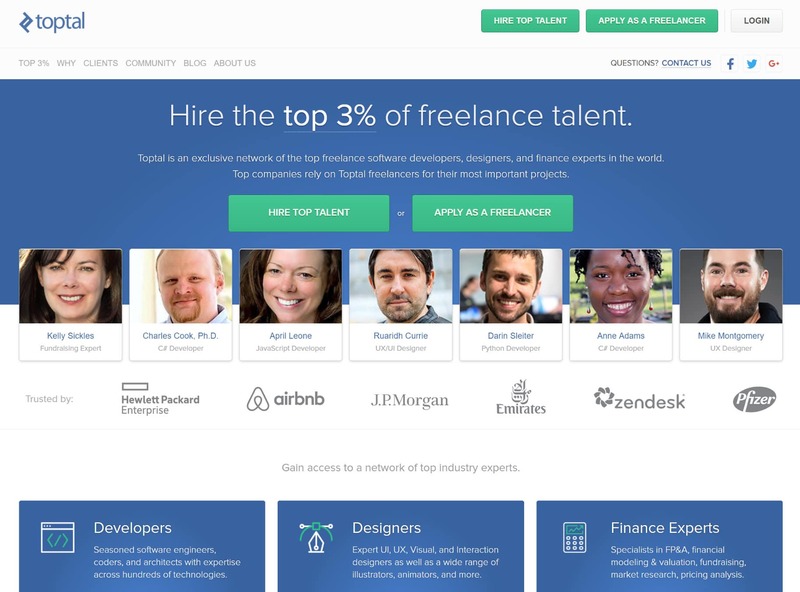 Toptal advertises itself as the place to go if you’re looking to hire from “the top 3% of freelance talent”. Its intensive developer pre-screening is aimed at backing up that claim. They are similar to Codeable, but they also cover all development areas, not just WordPress. The cost of recruiting someone is a $500 deposit, which can be applied to your first bill when you find suitable WordPress developer. New members are required to go through a standard interview with a recruiter, followed by a timed algorithmic challenge. They are then faced with another challenge while a senior developer reviews their work. Finally, they are asked to complete a test project. Toptal has worked with many big name brands such as Airbnb, HP, J.P. Morgan, and Zendesk. A godsend for developers worldwide, Stack Overflow is the first port of call for many daily technical questions. It’s only natural then that they’d offer a solution for matching employers with developers in the form of Stack Overflow Careers. If you are looking for a cheap way to find a developer, this is not the place. This is for companies and enterprises serious about finding the top talent. The cost for accessing their candidate search board starts at $2,499 (annual payment). As an employer, you can reach developers either through individual job postings, creating a company page to attract applications, or simply searching developer profiles for a candidate with the right skill set. 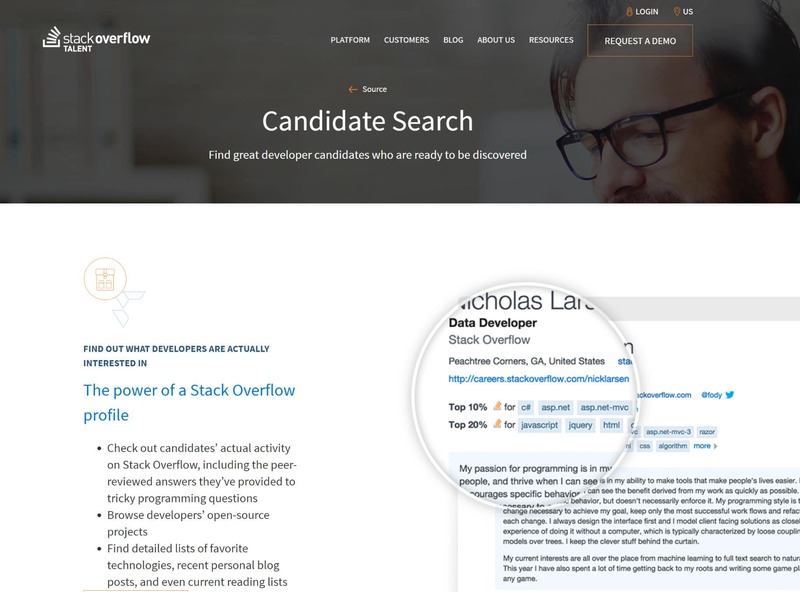 The main Stack Overflow site gets over 50 million unique visitors per month, and job listings are shown throughout the site (even on the sidebar). This ensures that your listing gets seen by a global audience daily. WPhired.com was created by Jerome Degl’innocenti, a WordPress fanatic. 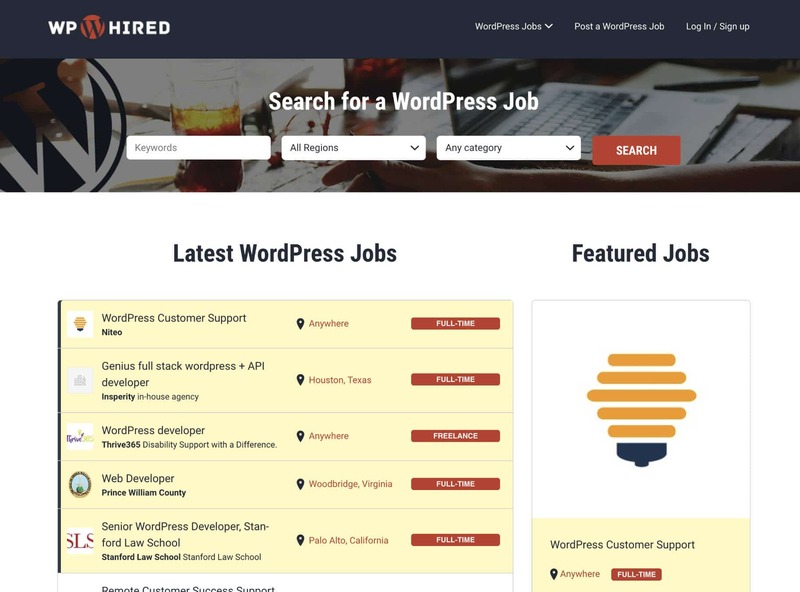 It was one of the first WordPress job boards launched back in 2010. 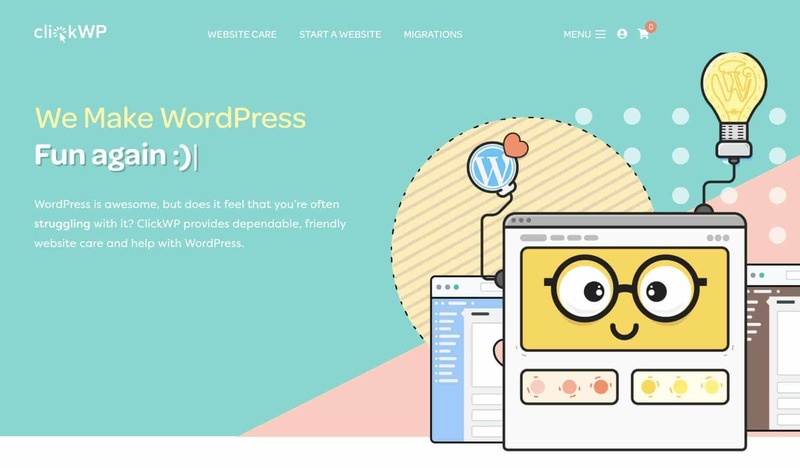 Its purpose is to connect small to large businesses with talented WordPress developers. It’s 100% WordPress, nothing else! 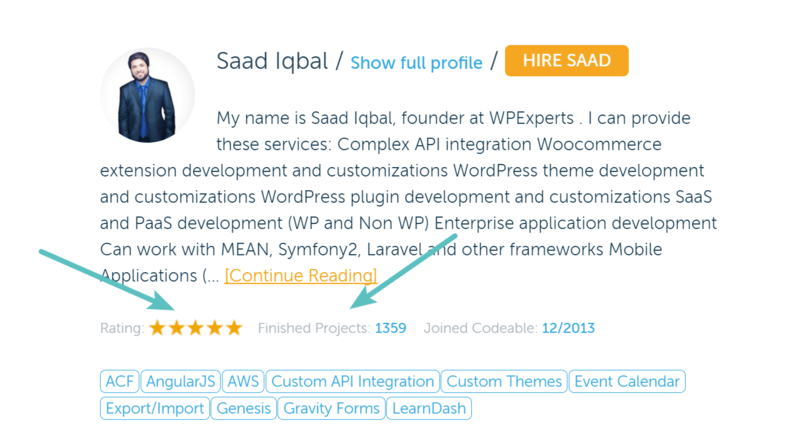 You can quickly post a WordPress job that reaches 1,000+ WordPress experts. And guess what? It’s completely free to post a job. Whether your looking for a new WordPress design, help with migration, or plugin development, you can easily find the talent you need. ClickWP specializes in providing reliable support for individuals and businesses using WordPress. Some of their services include monthly plans and on-demand tasks for website setup, theme customization, malware or hack repair, backups, WordPress migrations, and more. 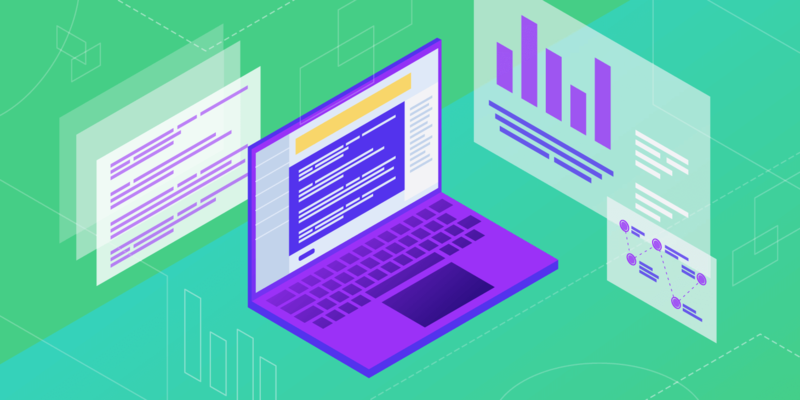 If you need some basic development work such as configuring a plugin, customizing your WordPress theme, or tweaks to your CSS, ClickWP can be a very cost-effective and quick solution. ClickWP is headed by David Wang, a blogger and marketer with 10 years of experience with WordPress. If you need some basic development tasks done and don’t want to hassle with finding a developer, we recommend reaching out to them to see how they can help. If you have more complex development tasks, any of the other six sources mentioned above are also great. Mode Effect, founded by Cody and Raquel Landefeld in 2010, creates web development solutions for e-commerce stores and enterprise companies. They specialize in WooCommerce and extension development to help increase sales and extend the functionality of your store. They also offer complete website redesign services and custom theme development. 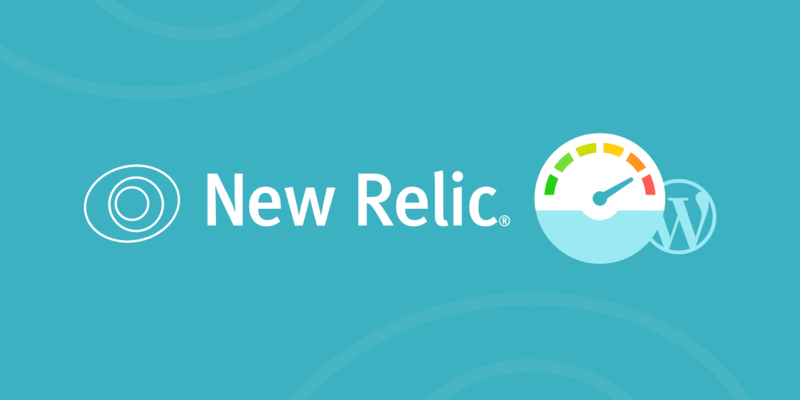 If you need something built for your store that doesn’t exist or an integration configured, these guys can do it. 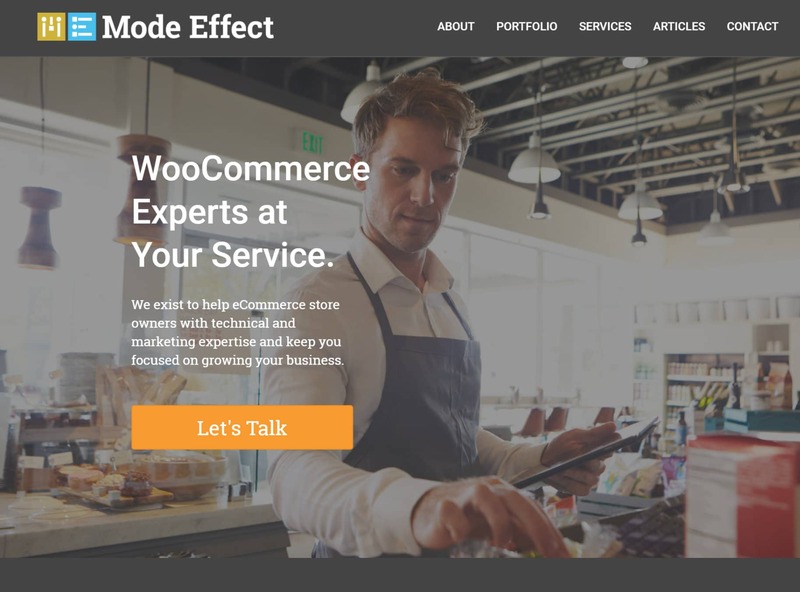 Mode Effect has worked with big brands such as Disney, CompTIA, movile, Phoenix Suns, and of course, WooCommerce. Working with Automattic, they even developed the official WordPress.com affiliate program website at refer.wordpress.com. Make sure to also check out our interview with Cody Landefeld. What About Upwork, Freelancer.com, and Fiverr? You’ve doubtless already heard of other platforms such as Upwork (formerly Elance and oDesk), Freelancer.com and Fiverr. 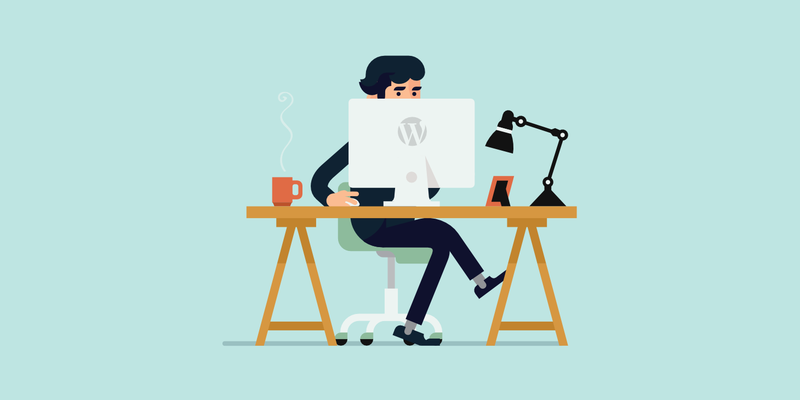 There are definitely plenty of talented WordPress developers on these sites but the responsibility will be very much on you to do your due diligence in order to obtain a satisfactory result. If this is your first time trying to find a developer, these platforms can be tricky and time-consuming to get the most out of. 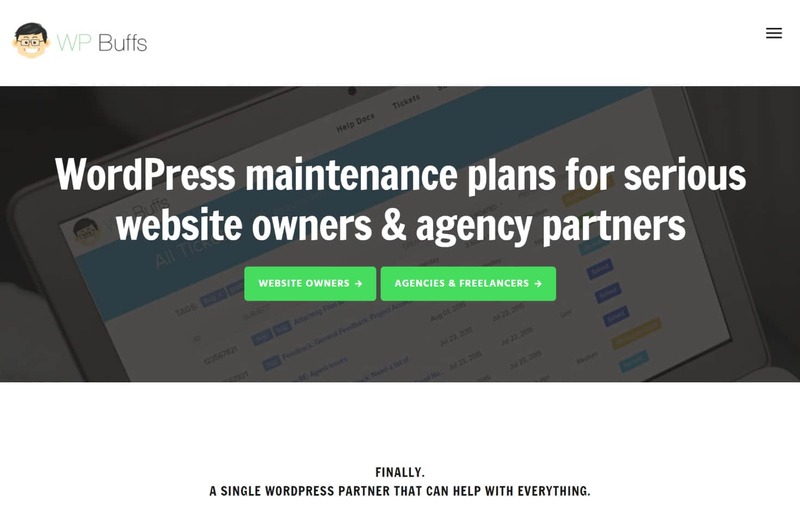 A large number of WordPress consultants and maintenance companies have appeared in recent years to help WordPress site owners. They provide support, maintenance, and web development services. Some of them offer monthly plans along with one-time fixes for all your WordPress needs. Here are some of the most popular providers, some of which we have personally worked with and recommend. 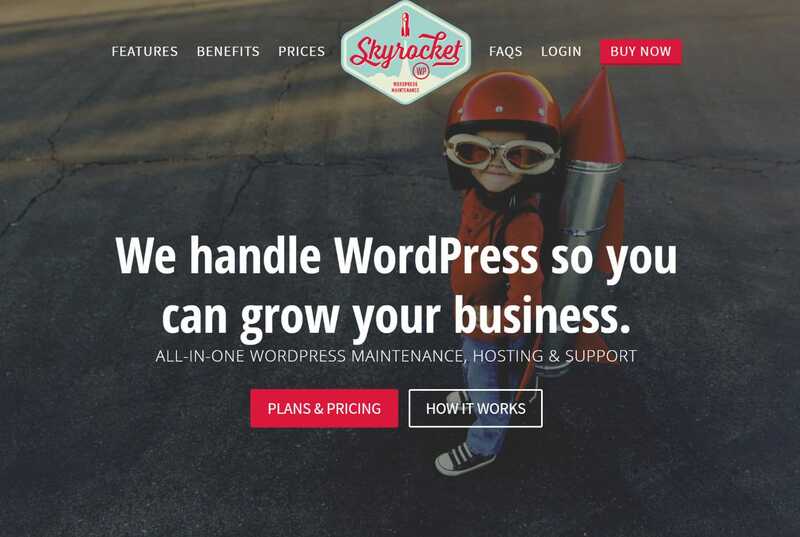 SkyrocketWP offers WordPress maintenance service, support, and a hosting solution built to handle WordPress for people who’d rather be growing their businesses. We even did a case study with them make sure you take a look! WP-Tonic offers a truly boutique concierge support and maintenance service for busy business owners. Don’t have any time to fix your WordPress problems? 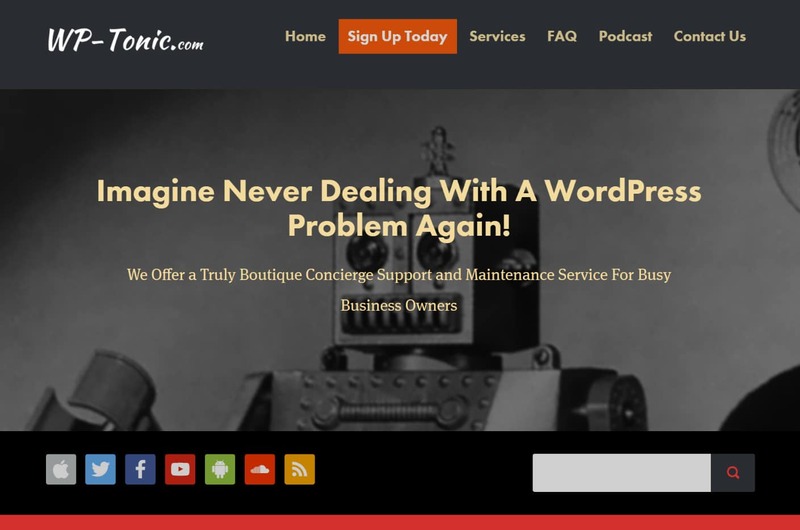 Let WP-Tonic take care of it for you. They also run a popular podcast in which they interview WordPress businesses owners and developers to get the inside scoop into what is happening in the industry. Here are a few additional ones to also check out. With that in mind, we’ll move on to suggestions for assessing potential hires. These are useful for any of the sites we’ve mentioned but particularly valuable if you are hiring from less specialized talent pools such Upwork or Fiverr. When you’re looking for that perfect WordPress developer, it’s crucial to realize that it’s your responsibility to set the tone from the outset and thoroughly research your candidates. If you don’t, you’ll end up wasting a lot of time back and forth, and most likely end up with a sub-par job or project. Checking the following five areas in detail will go a long way towards separating the wheat from the chaff from the very beginning. Ratings and reviews of previous work on a platform are an obvious first item to check when assessing candidates but don’t stop there; you should also be looking for portfolio work, the number of projects they have finished, and the code they have online. A solid portfolio demonstrates that the developer is actually capable of producing high-quality projects and has delivered in the past. Accessible code repositories (on Github for example), show they have at least some commitment to modern development practices and give you an opportunity to actually review their code. You can also take this one step further and have them complete a coding test. This is an easy way to filter out people who don’t have the required skill level. TestDome has a great PHP and WordPress test which you can require candidates to take. This requires them to be able to solve coding problems in PHP as well as answer questions about the WordPress API and architecture. A good developer should actually make you money rather than cost you money. Don’t be seduced by the promise of cheap outsourced development as, more often than not, you get what you pay for. That tempting lowball offer won’t look so attractive when you end up having to scrap an entire project and re-do it from scratch down the line. Low rates don’t always indicate low quality of course. Get familiar with what standard market rates actually are and then use our other points here to make assessments on a case-by-case basis. Nobody can be available 24/7 but a committed developer will strive to answer your concerns in a timely manner and make sure you know when and how he can be reached during work hours. The manner of communication is also critical. Early signs of flakiness or lack of clarity here are classic indicators of trouble down the line. Insist on clear communication from the outset and walk away if it’s not forthcoming. Being able to determine if you are able to communicate effectively with them is important for a long-term relationship. A good developer will not only be able to code well, but should also be able to communicate to a non-techie person. Beyond a free code test, a small, paid test project will usually tell you everything you need to know about a developer’s approach to the job. Consider these as a loss-leader. If things go south, you’ve just saved yourself failing on a big project with the same developer. If all goes well, you have an excellent indication that the wider project will be smooth sailing. And the last tip for hiring a WordPress developer is to ensure that all parties involved understand the scope of the job and or project. A lot of times clients will hire developers in a rush for a job which has not been fully defined. And due to the miscommunication, this usually results in an unfinished project, loss of time and money, and sometimes a ruined relationship. Check reviews and insist on seeing portfolio work. Have them complete a code test. Don’t fall for low-ball pricing tactics. Demand effective communication from your developer. Perform a paid test project. Agree the on scope of the job. We’d love to hear about your experiences with hiring WordPress developers so far. Are there any particular better sites we didn’t mention that you find and hire WordPress developers? Or tips you want to share? Get in touch via the comments and let us know! Brian, thanks for the SkyrocketWP love! No problem Chad, keep up the great work! That’s a great list of sites for searching a WordPress developer. But what can you recommend for anyone searching for the right developer? Great topic. I like many people have found out the hard way what hiring a very inexpensive developer will result in most likely having to do overwork and paying the higher price developer besides. I Love the list you have created I must be honest my WordPress developers of choice are Performance Foundry they are just amazing. I have used Toptal, It is essential that you have your project scope. Also, keep in mind the price is not always very high, but it is it’s not cheap. TopTal set’s up what is called the “project” you pay the $500 and get as many developers as you need in the beginning as well as over the course of the project. No matter what you need to be done, you will have an unlimited number of developers hand-picked for you to choose from. You will also be refunded your $500 if they cannot find someone you like. Naturally, the price is based on the developer’s location experience and accolade. If you ask for somebody in the United States that is part of the Automatic company behind WordPress an absolutely fantastic developer you can expect to pay anywhere from $100 to $200 an hour. Now if you ask for someone without extremely prestigious credential’s outside of these countries in the mainly The EU but in particular the US, UK & Germany you can expect to spend less money, expect to pay from $65 to $200 per hour. You can make all sorts of requests like I worked with a fellow in Switzerland who happened to be moving to Illinois that worked out well for a client in California because of the time zone differences. I am all for working with people all over the globe, but In my experience, it’s easier when they’re within 7-8 hours of my time zone. I did a “project” that included a lot of AI and WordPress work. I have hired out of Stack Overflow Business talent to find WordPress, Ruby NodeJS, Drupal and overall PHP developers my experience working with them was outstanding as well. I have to tell you I felt like the quality was the same between the two now I am only one person and have just hired Toptal seven times and from stack overflow talent three times. If you are just doing WordPress work. I still prefer to work with Performance Foundry they do maintenance as well and Our honest people as of a very knowledgeable staff that is always available via Slack because they have developers from the United States, Europe, Australia and even New Zealand you will never be without help at a particular time. They are excellent but also not cheap. I Hope this sheds some light on things if anyone wanted to hear it. Hope you’re doing well Brian!